The former head of Bulgaria's gas monopoly Bulgargaz Vasil Filipov declared Sunday the country could not expect any gas from Russia or the Ukraine any time soon, and that its only alternative was to appeal to Turkey for help. 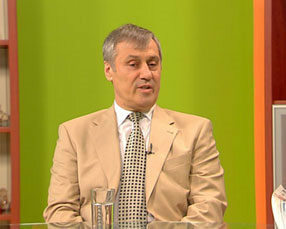 In an interview for a Nova TV talk show, Filipov stated the main reason for the present crisis was the fact that Russia's natural gas production was going down whereas its consumption was rising steadily. In his words, Russia's deposits were being depleted, and that is why Gazprom wanted to sell what was left of them on much higher prices. Russia managed to patch up its gas exports largely thanks to re-exporting gas from Kazakhstan, Turkmenistan, and Azerbaijan. The former head of Bulgargaz declared that Bulgaria's only hope of getting natural gas was to negotiate supplies from Turkey, and have them transited in the reverse direction - from Turkey to Bulgaria - through the now empty pipeline, which is usually used to supply Turkey with Russian gas via Bulgaria. According to Filipov, Turkey was getting natural gas from Russia via the Blue Stream gas pipeline as well as from Azerbaijan, Iran, and the Middle East, and it could sell gas to Bulgaria if it wanted to demonstrate a good will. He urged the Bulgarian government to send negotiators to Ankara immediately in order to ask the Turks for help as Bulgaria's reserves were running out. Filipov also explained that the potential construction of a 70-km pipeline between Bulgaria's Dimitrovgrad and Greece's Komotini, which would link Bulgaria with the Turkey-Greece-Italy pipeline, would hardly be of any use because the pipe reaching the town of Komotini had been designed to supply local industries and households, and would be greatly insufficient to cover Bulgaria's needs. The former head of Bulgargaz said Bulgaria's gas storage facility at Chiren would likely be depleted in about ten days. He blamed all Bulgarian governments since the 1990s for failing to connect Bulgaria with other European gas pipelines, and for not expanding the country's reserves. Filipov was Executive Director of Bulgargaz in 1997-1998 when Bulgaria negotiated Russian gas supplies with a contract with Gazprom. The contract was renegotiated in 2006 by the then Deputy Prime Minister from the Socialist Party Rumen Ovcharov, who claimed he had gotten a more favorable deal from the Russians. Filipov said, however, that Gazprom used to pay for its transit via Bulgaria with about 1,4 billion cubic meters of gas per year, whereas after the 2006 renegotiation, it hardly paid more than 400 million cubic meters of gas per year.